In a recent Centre of Gravity paper for the ANU  (PDF), Tim Huxley rightly calls for closer Australian defence cooperation with Indonesia, and for Australia to enhance defence relations with Malaysia and Singapore. His observation that any relationship between Australia and Indonesia has to be a ‘two-way street’ also recognises the necessity of the relationship to being more mature than it currently is. However Huxley’s comment that such a relationship might mean that Indonesia begins supplying Australia with ‘small arms and ammunition’ is (possibly deliberately) extremely provocative. 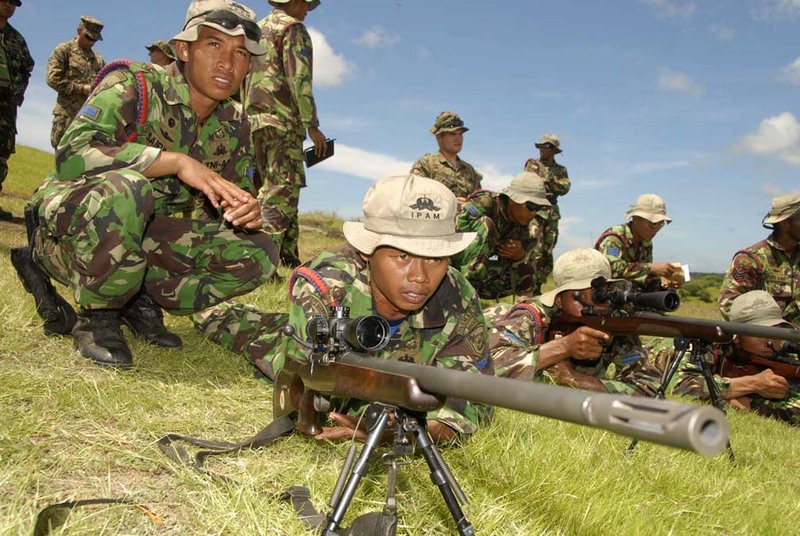 Like a number of advanced developing countries, such as Brazil, Indonesia has its own evolving defence-industrial base, and currently produces a range of small arms and ammunition, as well as larger systems. Like other arms producing countries, Indonesia will have political and economic reasons for exporting its military products; they enhance a country’s prestige and bring economies of scale for its own acquisitions (at least in theory). And Indonesia is clearly looking to position itself as an arms exporter. The state-owned PT Pindad (Persero), with its English-language website  offers a transparency on arms production which western firms might do well to note. Its banner headline zipper also clearly proclaims its ten-year vision to ‘Become a leading manufacturer in defense and security equipment in Asia in 2023 through efforts in product innovation and strategic partnerships’. News reports in mid 2012  also announced that Indonesia was actively pursuing arms transfers to both Iraq and Uganda. While costs and prices are the most opaque of details of many international arms transfers (many of which include gifting, as well as arrangements such as barter and offsets), it’s likely that as Indonesia is seeking a foothold in an already oversupplied market, it would be offering attractive deals. Australia, like all arms importers, also works hard at balancing the political risks such as guarantees of supply, as well as the political signalling of an arms purchase, with seeking value for money—especially in times of a tighter Defence budget. Unlikely bedfellows and attractive prices aside, the ADF would however be very wary of purchasing any military products from Indonesia because of the overriding consideration of quality. Discussions with Australian Defence personnel have confirmed my suspicion that Indonesian-manufactured arms and ammunition are not of high enough quality for the ADF to consider using them. Even the Jakarta Post noted  in 2011 that the TNI ‘prefer imported weapons’. Australia and Indonesia must become stronger, and more equal, strategic partners , and Australia must engage meaningfully with countries in the Southeast Asian region in this Asian Century. For this to happen, Australia must avoid the paternalism which both the Prime Minister and the leader of the Opposition demonstrated almost tirelessly in 2012. However, Australia won’t start purchasing key strategic items such as weapons and ammunition from Southeast Asian manufacturers any time soon. What Australia could do, however, is use the opportunities of its new non-permanent seat on the UNSC for the next two years to really prove that we were honest about our claim  in ‘making a difference for the small and medium countries’. Rather than importing and exporting arms and ammunition, perhaps a more sensible place to start would be in simply developing much stronger diplomatic, trade, investment, education and other links with the region, particularly to Indonesia. Stephanie Koorey joined the Fragile States Project at UNSW Canberra in August 2012. Her research interests include conventional arms control. Image courtesy of Wikipedia .